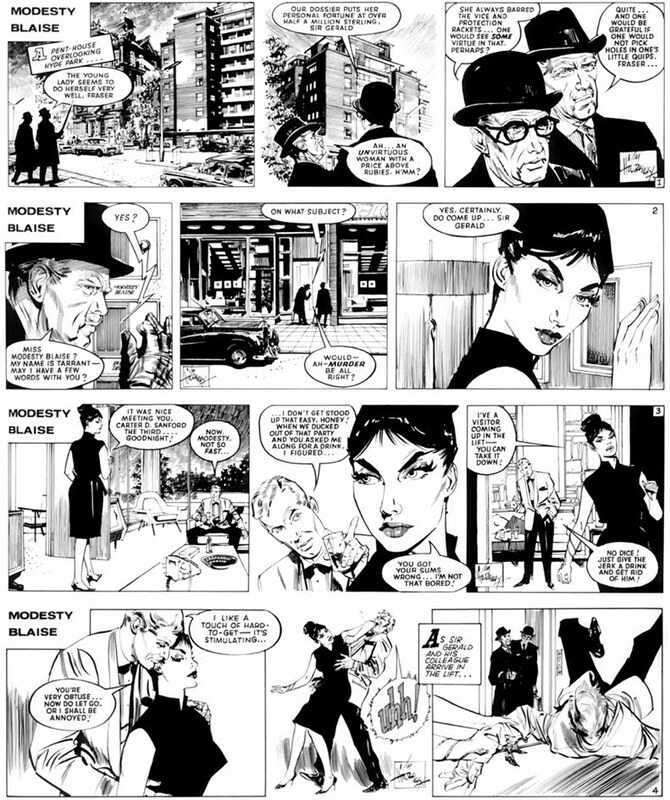 Peter O'Donnell, creator of Modesty Blaise, died on Monday, 3 May, shortly after his 90th birthday. Peter had been suffering from Parkinson's disease but still kept in touch with fans and continued to pen introductions for Titan's Modesty reprints. Peter had a 75-year-long career as a writer, his first story appearing in the pages of Scout in 1936. He then joined the staff of the Amalgamated Press, working on Butterfly, Comic Cuts and Illustrated Chips. He served with the Royal Signal Corps during the war. After being demobbed in 1946 he worked for a small publishing firm before taking up writing full time. In 1952 he was asked to take over the 'Belinda' strip in the Daily Mirror while the regular author was ill; soon after he was invited to take over the writing of 'Garth', which he went on to write for the next thirteen years. Other strips written by O'Donnell include 'For Better or Worse', 'Tug Transom' and 'Romeo Brown', the latter teaming him up with Jim Holdaway for the first time. In 1962 Kennedy Aitken asked him to create a new character for the Daily Express. O'Donnell, already writing stories featuring a macho male hero, decided on a female character who would have the confidence and combat skills of male comic strip stars without losing her femininity. 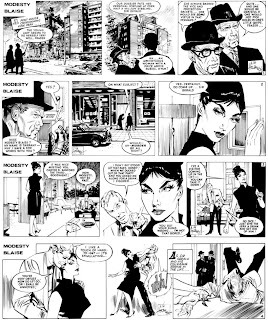 The strip was snatched up by the Evening Standard and Modesty Blaise began appearing on 13 May 1963. The strip survived the death of artist Jim Holdaway in 1970 and continued to appear until O'Donnell's retirement in 2001, with Enrique Romero (1970-79, 1986-2001), John M. Burns (1978-79), Pat Wright (1979-80) and Neville Colvin (1980-86) providing the artwork. The Modesty Blaise movie, directed by Joseph Losey, is now seen as something of a pop-art classic, but has almost nothing to do with Modesty Blaise. Only one line of O'Donnell's original script survived rewrites in the film; O'Donnell went on to write the first Modesty novel based on his screen story. He went on to write 10 more novels and 2 collections of short stories featuring Modesty and a series of historical romance novels, the latter under the pen-name Madeleine Brent. Obituaries: The Times (5 May); Daily Telegraph (6 May); The Guardian (6 May). Modesty Blaise. London, Souvenir Press, 1965; New York: Doubleday, 1965. Sabre-Tooth. London, Souvenir Press, 1966; New York: Doubleday, 1966. I, Lucifer. London, Souvenir Press, 1967; New York: Doubleday, 1967. A Taste for Death. London, Souvenir Press, 1969; New York, Doubleday, 1969. The Impossible Virgin. 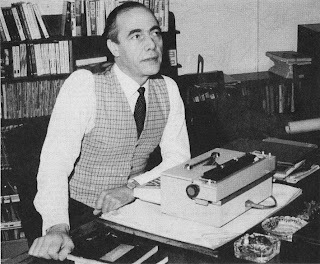 London, Pan, 1971; New York: Doubleday, 1971. The Silver Mistress. London, Souvenir Press, 1973; Cambridge, Massachusetts, Archival, 1982. Last Day in Limbo. London, Souvenir Press, 1976; New York: Mysterious Press, 1985. Dragon’s Claw. London, Souvenir Press, 1978; New York: Mysterious Press, 1985. The Xanadu Talisman. London, Souvenir Press, 1981; New York: Mysterious Press, 1984. The Night of Morningstar. London, Souvenir Press, 1982; New York: Mysterious Press, 1987. Dead Man’s Handle. London, Souvenir Press, 1985; New York: Mysterious Press, 1986. Pieces of Modesty. London, Pan, 1972; New York: Mysterious Press, 1986. Cobra Trap. London, Souvenir Press, Sep 1996. Tregaron’s Daughter (serial: Woman, 1971). London, Souvenir Press, 1971; New York, Doubleday, 1971. Moonraker’s Bride. London, Souvenir Press, 1973; New York, Doubleday, 1973. Kirkby’s Changeling. London, Souvenir Press, 1975; as Stranger at Wildings, New York, Doubleday, 1976. Merlin’s Keep. London, Souvenir Press, 1977; New York, Doubleday, 1978. The Capricorn Stone. London, Souvenir Press, 1979; New York, Doubleday, 1980. The Long Masquerade. London, Souvenir Press, 1981; New York, Doubleday, 1982. A Heritage of Shadows. London, Souvenir Press, 1983; New York, Doubleday, 1984. Stormswift. London, Souvenir Press, 1984; New York, Doubleday, 1985. Golden Urchin. London, Souvenir Press, 1986; New York, Doubleday, 1987. The Boys’ Book of Magic. London, Clerke & Cockeran, 1949. In My Mind’s Eye, foreword by R. H. Thouless and B. P. Wiesner. London, Rider & Co., 1949. Murder Most Logical (first produced Theatre Royal, Windsor, 1974; also produced as Mr. Fothergill’s Murder, London, 1982). Published as Mr. Fothergill’s Murder: A Play in Two Acts, London, English Theatre Guild, 1983. Modesty Blaise, with Stanly Dubens and Evan Jones, 1966. The Vengeance of She, 1968. Take a Pair of Private Eyes serial, 1966. A great writer and a natural story-teller. Better tome than Creasey, and Durbridge. His creation, Modesty Blaise embodied all the attributes of the ideal womam; fiesty, intelligent, witty and beautiful. Is it possible to read the full obituary from Sweden? Yes, you should be able to view pages of The Guardian at their website, or you can find obits. on the obituaries page. When I spoke to the editor this morning they said the O'Donnell piece was hopefully being used tomorrow (Thursday) and I've also heard that the Daily Telegraph (obituaries page here) will also be running a piece tomorrow. I'll update the main piece with links as these become available. Undoubtedly, one of the greatest writers to have been blessed for British Comics fraternity. A great loss indeed. Hope his character Modesty Blaise is revived by someone who loves the character, more like him, and can add the same flavour of what he envisioned for the figure. Thanks for an information writeup, like ever Steve. Reviving Modesty would be as unsuccessful as reviving Sherlock Holmes. She had her arc; that's why O'Donnell wrote Cobra Trap. I don't think anyone would be able to write Modesty like Peter did. Thankfully, thanks to Titan and Souvenir Press, most of the strips and all of the novels are easily available. However, if someone did attempt a revival, I wouldn't be amongst the voices complaining. A new work, even a poor one, doesn't diminish what I love about the original strips and books -- the awful 1966 Modesty Blaise movie being a perfect example. I quite enjoyed the later movie. If they make another movie, or try launching a new strip, I'll give it a try and I'll like it or dislike it based on its own merits. Steve, why do you say 'most of the strips'? Are any lost, or are we just waiting for the Titan series to complete? With a good tail wind Titan will have the complete run in print within the next few years. They've published 17 volumes so far containing 55 stories and have another 42 stories to go, which at the rate of 3 stories per volume is 14 volumes. So the set should be complete in 31 volumes. Still some way to go but this is the most sustained reprint effort we've seen in the UK and I for one hope they make it to the very end.